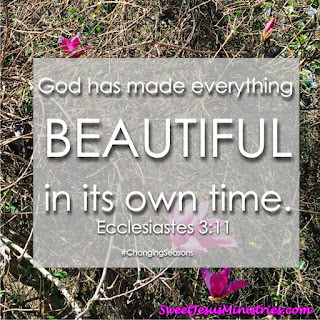 This post was originally written for a website called Sweet Jesus Ministries that I am a monthly contributor for. I hope you are blessed and encouraged to read this during your own season of transition. 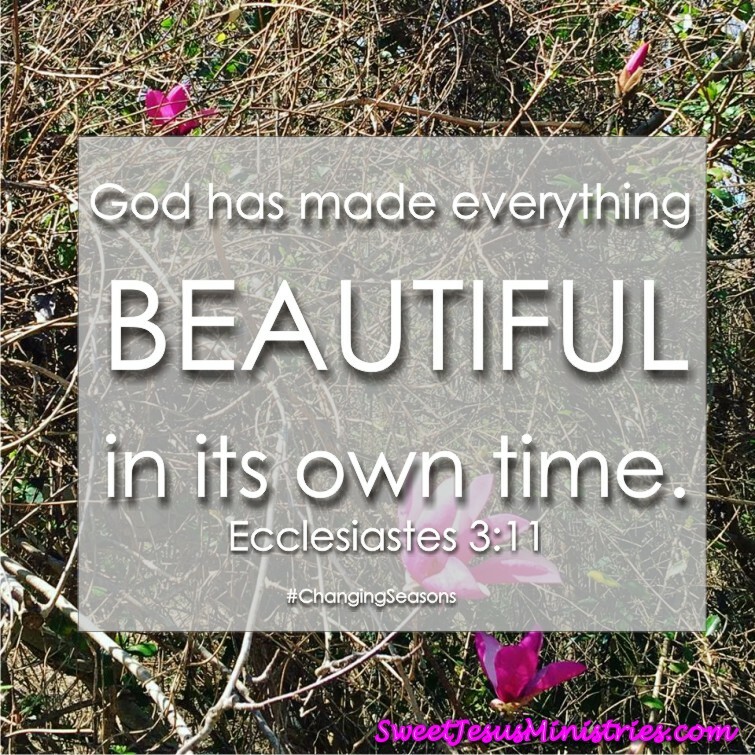 For everything there is a season…God has made everything beautiful for its own time. It’ s spring! Finally glorious spring with its warmer days of sitting on the front porch reading a good book, and drinking a glass of sweet tea have come! The days of planning summer vacations, gardening, and getting outside more- soaking in those warm rays of sunshine- have me excited for this season too.